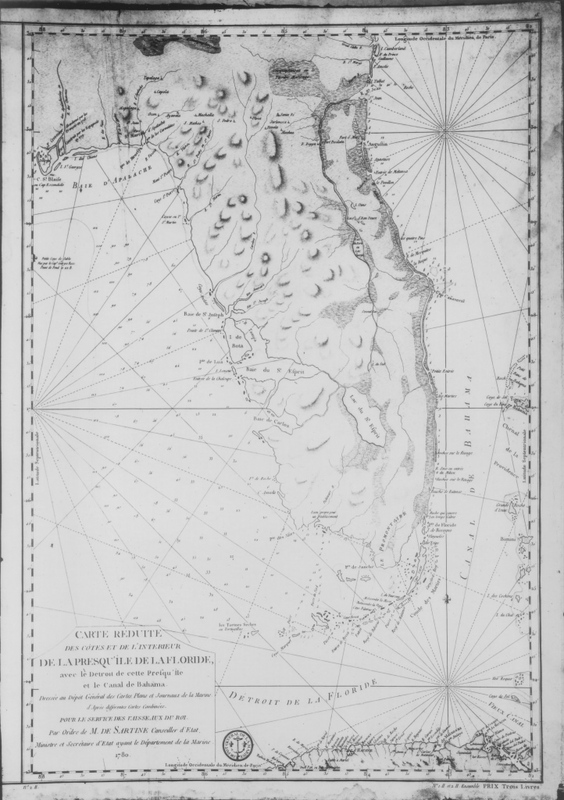 A map of Florida in French from 1780, when the territory was under British rule. In 1763, Spain traded Florida in exchange for Havana, Cuba, which had been captured by the British during the Seven Years' War. Many Spanish settlers and indigenous people left Florida for Cuba. The British divided the territory into East Florida and West Florida, which consisted of most of the Florida Panhandle and parts of present-day Louisiana, Mississippi, and Alabama. During this period, a large number of British settlers migrated to Florida, particularly present-day Duval County, Baker County, St. Johns County, and Nassau County. One key settler was a Scotchman named Dr. Andrew Turnbull (1718–1792), who established a settlement at New Smyrna. During the American Revolution, the majority of Floridians expressed loyalty to the British Crown and the colony declined to send delegates to the Continental Congress. When the Treaty of Paris was signed in 1783, the Florida territory was returned to Spanish control. Original map, 1780: Leonard Pugh Collection. Digital reproduction of original map, 1780. Tebeau, Charlton W. A History of Florida. Coral Gables, Fla: University of Miami Press, 1971. "Florida: As a British Colony." Florida Center for Instructional Technology, University of South Florida. http://fcit.usf.edu/Florida/docs/f/florbrit.htm. 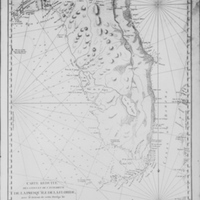 “Map of Florida, 1780.” RICHES of Central Florida accessed April 22, 2019, https://richesmi.cah.ucf.edu/omeka/items/show/6117.